When people hear that on the night of April 15, 1912, over 1523 people died that horrible and freezing cold night, the idea that 1523 can really seem so big a number that the number itself actually becomes meaningless. People can see the number 1523 and not understand just how many that truly is until they are given that number in terms of how many human beings it represents. 1500 dominoes on the floor, or 1500 stones in the wall is not as powerful as 1500 men, women, and children floating in the water that terrible night. The Titanic was considered to be the biggest ship in the world at that time, and her length is actually pretty impressive. Here are some Titanic facts that will help people understand just how big she was, and a few other interesting facts about her. 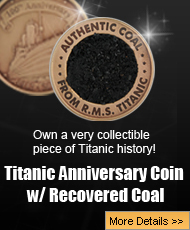 Total amount of coal used: Titanic needed approximately 825 tons of coal every day to keep the boilers red hot and running. 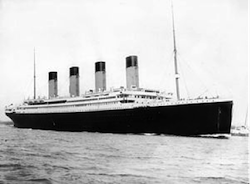 Length: Titanic was 882 feet and 9 inches long. 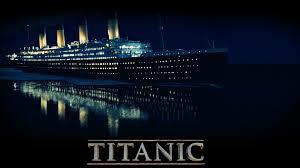 Width: Titanic was 92 feet wide. Staterooms: 840 rooms broken down into 416 First Class rooms, 162 Second Class rooms, and 262 Third Class rooms. 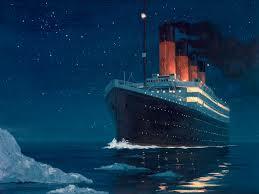 The Titanic was only on the water for a total of 4 days before she struck the iceberg and sank. Here are some Titanic facts about the night she went down. Estimated amount of damage done by iceberg collision: A total of 12 square feet. Percentage of passengers that survived: Approximately 31.6 percent of the passenger on the Titanic survived the disaster. Total percentage of crew who survived: 22 percent of the crew survived the disaster. 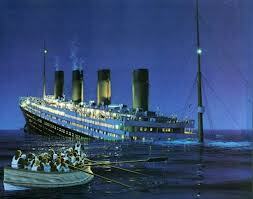 The RMS Titanic sank in the early morning hours of April 15th, 1912. 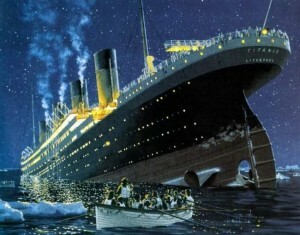 Though it has been almost 102 years, interest in the Titanic is just as strong now as it was back then. Many people search tirelessly for information about the disaster, and hopefully these Titanic facts will aid them in their quest to find out exactly what happened that terrible, freezing cold, April night.